It is that time of the year once again leading up to the most exciting movie going season, the summer. Every summer, every major studio loves to pull out their massive blockbusters for people to head out to go see on a hot day with nothing else to do. 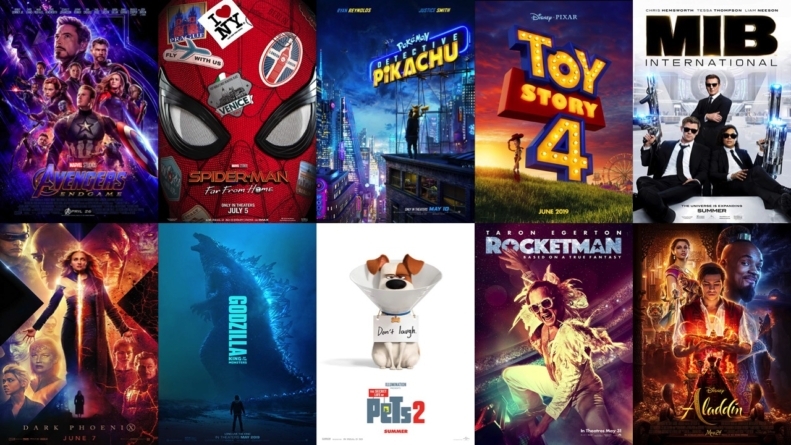 For this list, I’m going to be going over the ten must-see films this summer for this year so you are prepared to mark your calendars. And with every single entry on this list will feature a link to the trailer of every movie on the list. But before I get to the top ten, I would like to give out several Honorable Mentions of films to also check out, but didn’t quite make the list. 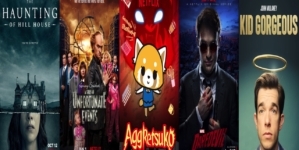 My Honorable Mentions include John Wick: Chapter 3 – Parabellum (May 17th), the third film in Keanu Reeves’ hit action trilogy; Brightburn (May 24th), a Superman esque horror film produced by Guardians of the Galaxy visionary James Gunn; Yesterday (June 28th), the latest comedy from the writer of Love, Actually about a struggling songwriter who plagiarizes The Beatles’ music when everyone in the world forgets about them after a blackout; Once Upon a Time in Hollywood (July 26th), the ninth film by Quentin Tarantino; and Fast & Furious Presents: Hobbs and Shaw (August 2nd) the latest spin-off of the hit action franchise starring Dwayne Johnson and Jason Statham. And with those honorable mentions mentioned, here are the Top 10 Films to Check Out This Summer. If you were to ask me what one of my favorite Disney films is, then it is very likely that I would say their 1992 classic Aladdin. From its spectacular animation, memorable characters, fun and catchy songs, and an irreplaceable performance from Robin Williams as the Genie. And the fact of how pure fun it is would make it easy to say that this, along with Beauty and the Beast, are Disney at their peak, more so than films like The Lion King that I find massively overrated, sorry. But when I heard the announcement that Aladdin would be next in line for their recent trend of live-action remakes, this could be one that could go either way, but I find myself cautiously optimistic. When a street urchin named Aladdin finds a lamp with a genie inside, he uses the lamp to turn himself into a prince in order to win the heart of the beautiful Princess Jasmine. But an evil vizier named Jafar is after the lamp too. Featuring the classic songs from the original and some new ones by La La Land and The Greatest Showman lyricists Pasek & Paul, as well as a standout performance by Will Smith as the new Genie, Aladdin looks like a fun remake to revisit in a whole new way. The film will be released in theaters on May 24th. One genre that has seemingly boomed in this past decade is the music biopic. After hits like NWA’s Straight Outta Compton and Queen’s Bohemian Rhapsody, it looks like the next musician to take the biopic stage is Elton John. Taking a more fantasy musical direction and named after his 1972 song of the same name, Rocketman tells the story of Elton John’s life, from his years as a prodigy at the Royal Academy of Music, through his influential and enduring musical partnership with Bernie Taupin, as well as his struggles with depression, substance abuse, and acceptance of his sexual orientation. Featuring well-crafted dance numbers and a center performance from Taron Egerton as Elton John, Rocketman is a musical that will make you love Elton John all over again. Rocketman will blast off into theaters on May 31st. Illumination Entertainment has garnered the reputation of one of Disney’s latest competitors heavily relying on marketing being plastered everywhere you go and always reminding you that they are responsible for the pesky Tic Tacs known as the Minions. One of their latest recent franchises being The Secret Life of Pets back when the film was released in 2016 with while a lackluster story that takes a lot from Toy Story, but has some great performances and fun laughs to make up for it and the sequel we might expect some more. However I can’t give any sort of plot synopsis because Universal and Illumination are keeping the plot of the film a secret from any trailers and press releases, so the story is unknown. Continuing more of the hilarious pet shenanigans from the first and featuring an all-star cast including Patton Oswalt, Kevin Hart, Jenny Slate, Dana Carvey, Albert Brooks, and newcomers like Nick Kroll, Tiffany Haddish, and even Harrison Ford, The Secret Life of Pets 2 looks like another fun look into your pets’ lives when you aren’t around. More secrets will be revealed in theaters on June 7th. Everyone loves a good kaiju movie seeing giant monsters fighting against each other in places like large cities and causing massive destruction everywhere. And with the cinematic universe movie boom, it would make sense to have a cinematic universe of some of the most well-known monsters in cinema history. Following Godzilla in 2014 and Kong: Skull Island in 2017, Legendary Pictures brings out the next chapter in their MonsterVerse with their sequel to the former with the comeback of Godzilla. The new story follows the heroic efforts of the crypto-zoological agency Monarch as its members face off against a battery of god-sized monsters, including the mighty Godzilla, who collides with Mothra, Rodan, and his ultimate nemesis, the three-headed King Ghidorah. When these ancient super-species—thought to be mere myths—rise again, they all vie for supremacy, leaving humanity’s very existence hanging in the balance. Featuring exciting monster action and an all-star cast including Kyle Chandler, Vera Farmiga, Millie Bobby Brown, Bradley Whitford, Sally Hawkins, and Ken Watanabe, Godzilla: King of the Monsters is the monster movie of the summer. Godzilla will wreck the big screen again in IMAX on May 31st. The X-Men franchise has been one of the most hit-or-miss franchises currently going in the superhero genre. While there have been many notable fantastic hits like X-Men: Days of Future Past, Deadpool 1 & 2, and Logan, there have been plenty of misses like X-Men: The Last Stand, X-Men: Apocalypse, and of course X-Men Origins: Wolverine. And after 20th Century Fox was acquired by Disney, it could be possible that this will be the final X-Men film in this incarnation before being potentially brought into the MCU, so hopefully they go out with a bang. In 1992, nearly a decade after the events of X-Men: Apocalypse, the X-Men are national heroes going on increasingly risky missions. But when Jean Grey begins to develop incredible powers that corrupt and turn her into a Dark Phoenix. Now the X-Men will have to decide if the life of a team member is worth more than all the people living in the world. Being the directorial debut of veteran X-Men writer and producer Simon Kinberg and the possibility of showing some great action, X-Men: Dark Phoenix could finally bring the famous Dark Phoenix story from the comics properly. The Dark Phoenix will burn on the big screen in IMAX on June 7th. The Men in Black series has been a consistently entertaining series of sci-fi comedies with some fun action and the chemistry of Will Smith and Tommy Lee Jones. And with any once popular series that they own, Sony Pictures now decides to give the series a reboot/sequel with a new cast taking the center stage. In this latest entry in the series, Agents H and M, members of the London-based team of Men in Black secret agents become involved in a series of alien attacks that sends them traveling around the globe to rid the planet from the scum of the universe. 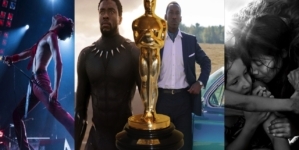 Directed by F. Gary Gray, the director of The Italian Job, Straight Outta Compton, and The Fate of the Furious, and starring Chris Hemsworth, Tessa Thompson, Liam Neeson, Rebecca Ferguson, Emma Thompson, and Kumail Nanjiani, Men in Black: International looks like a fun sci-fi comedy to see a new interpretation of the popular franchise. The Men in Black will return on the big screen on June 14th. Back in 1995, a little animation studio known as Pixar Animation Studios would revolutionize the industry with Toy Story, the first ever computer animated feature film. The animated film industry would not be what it is today without Toy Story and would grow to be the crowning franchise of Pixar. However, the announcement of a fourth film did raise many eyebrows after Toy Story 3 had such a perfect ending that a fourth one would be unnecessary. But maybe, there could an important story that Pixar wanted to tell for another adventure with Woody and Buzz. Some years after Andy gave his toys to Bonnie, Woody, Buzz, and the rest of Andy’s toys have enjoyed their time with Bonnie. However, they are faced with a problem when Bonnie creates a new toy from arts and crafts, named Forky; Forky suffers from an extensional crisis about being a toy which the others try to help him understand how to be a toy. As Bonnie and her family go on a road trip, Forky escapes and Woody goes to save him, becoming separated from the group near a small town. As Buzz and the others try to help find Woody, Woody finds Bo Peep among other toys in the town’s antique shop, and Bo Peep gives him a new outlook on what being a toy is really about. With most of the original cast coming back like Tom Hanks, Tim Allen, and Annie Potts, as well as newcomers like Tony Hale, Keanu Reeves, and Keegan Michael-Key & Jordan Peele, and hopefully audiences will be prepared to cry, Toy Story 4 is the must-see animated sequel of the summer. 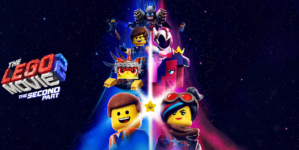 The toys will be back on the big screen on June 21st. For over 20 years, Pokémon has been one of the most successful media franchises to take the world by storm. Rather it be the series of video games, the anime, the trading cards or the mobile fad that was Pokémon GO, everyone must have had some kind of experience with the popular game of catching creatures to make them fight in one way or another. And as with any popular video game, Hollywood would try to capitalize on the popularity with a movie that would most likely fail. 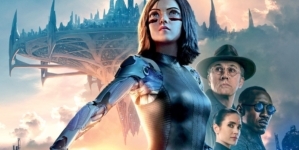 But it looks like Warner Bros. could play all of the right cards to make this one the film to end the bad video game movies trend by looking to please fans and non-fans, and by going in a different direction by adapting one of the more obscure spin-off games than one of the main line games. When ace detective Harry Goodman goes mysteriously missing, prompting his son Tim to find out what happened. Aiding in the investigation is Harry’s former Pokémon partner, Detective Pikachu: a wise-cracking sleuth who is a puzzlement even to himself. Finding that they are uniquely equipped to communicate with one another, Tim and Pikachu join forces on a thrilling adventure to unravel the tangled mystery. Chasing clues together through the neon-lit streets of Ryme City–a sprawling, modern metropolis where humans and Pokémon live side by side-they encounter a diverse cast of Pokémon and uncover a shocking plot that could destroy this peaceful co-existence and threaten the whole universe. With excellent live action interpretations of the Pokémon characters and a hilarious performance from Deadpool himself Ryan Reynolds as the title character, Pokémon: Detective Pikachu could be the movie to break the video game movie curse and something worth catching. The case will be caught on the big screen on May 10th. The second Marvel film to come out this summer looks like it’s going to be a fun recovery for those trying to emotionally heal from whatever happens in the next film on the list. And for the past couple of years, Spider-Man has been on a roll with his past couple of MCU appearances, a hit PlayStation 4 game, and an Oscar winning animated feature with Into the Spider-Verse, and this looks like no exception. Our friendly neighborhood Spider-Man decides to join his best friends Ned, MJ, and the rest of the gang on a European vacation. However, Peter’s plan to leave super heroics behind for a few weeks are quickly scrapped when he begrudgingly agrees to help Nick Fury uncover the mystery of several elemental creature attacks caused by a new villain, Mysterio, creating havoc across the continent. With a cast including Tom Holland, Marisa Tomei, Jon Favreau, Jacob Batalon, Zendaya, Samuel L. Jackson, Cobie Smulders, and Jake Gyllenhaal as the new villain Mysterio, Spider-Man: Far From Home looks like a fun vacation to travel to. Spider-Man will sling back into theaters in IMAX on July 5th. Of course this was going to be number one without a doubt, even its release is slightly early for the start of the summer movie season. 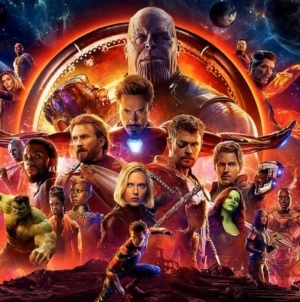 After the massive cliffhanger ending that last year’s Avengers: Infinity War has left us with, cinemagoers everywhere have been speculating for an entire year about what is going to happen now that the wait will soon be over for the conclusion of this saga in the Marvel Cinematic Universe. After the devastating events of Avengers: Infinity War, the universe is in ruins. With the help of remaining allies, the Avengers assemble once more in order to undo Thanos’ actions and restore order to the universe. With a more vague marketing campaign that would lead to speculations of any massive twists to be revealed, Avengers: Endgame is the must see film of this summer. The Endgame will take place in IMAX on April 26th.